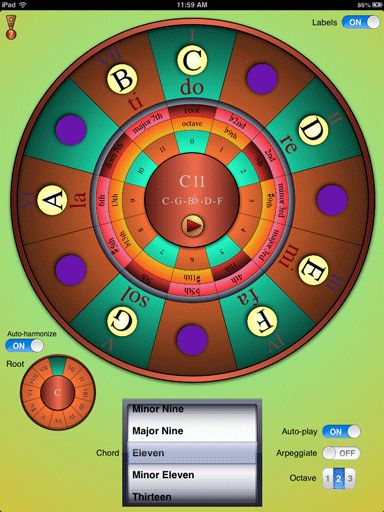 A tool for teaching chords, scales, and harmony. A practice companion. A way to hear and visualize chord progressions. A musical instrument on your iPad. irlenwheel.com © 2013-2016 All rights reserved.